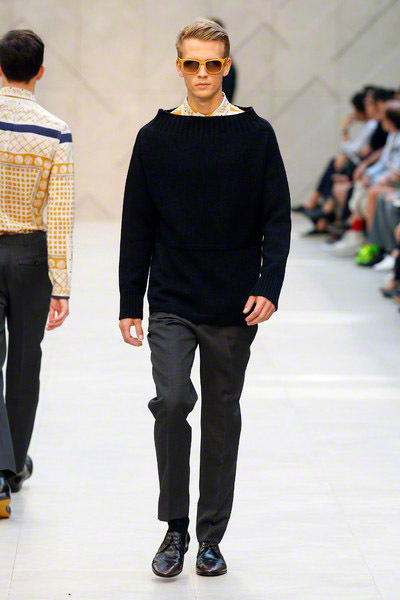 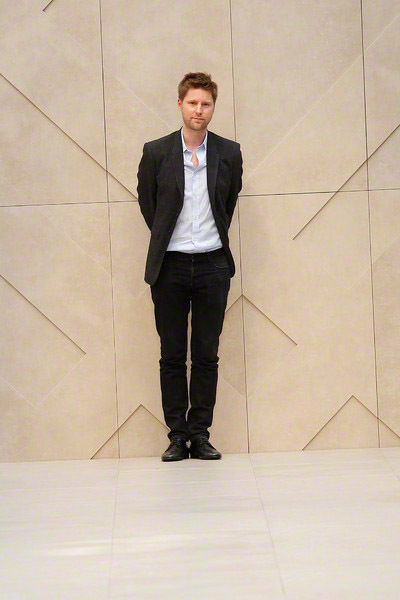 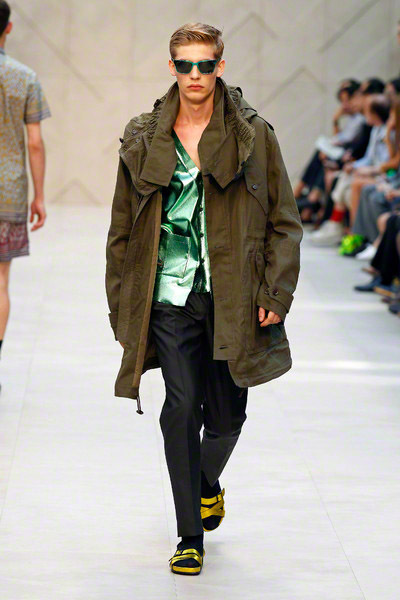 Christopher Bailey sent out a rich, chic and sophisticated collection yesterday, with focus at shiny fabriucs and sartorial finish. 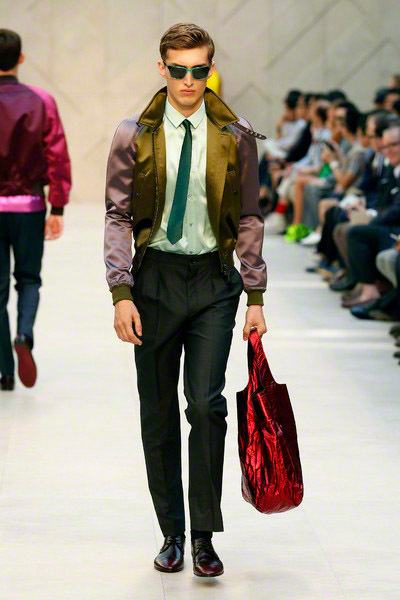 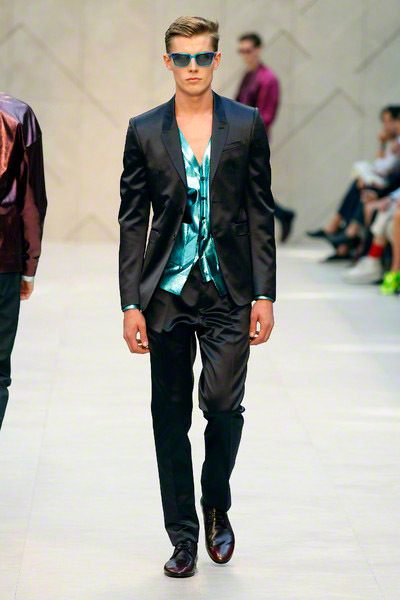 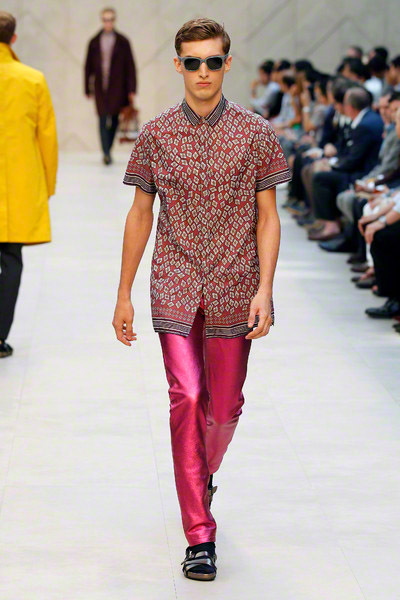 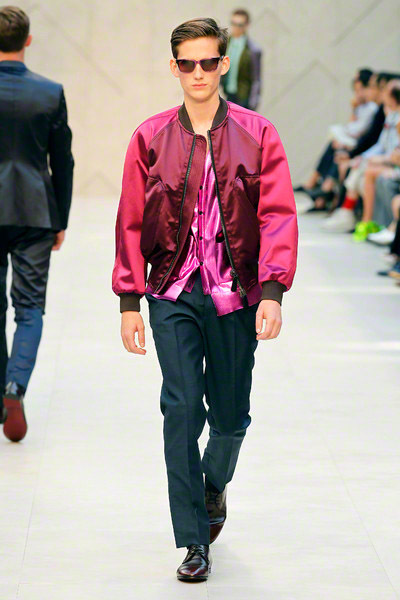 The show opened with metallic silk in purple, blue, green, fuchsia, and orange. 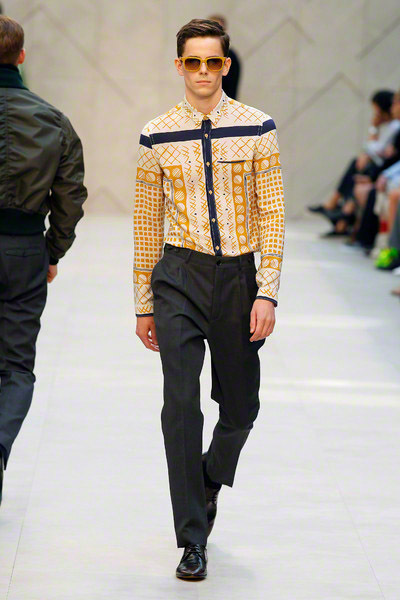 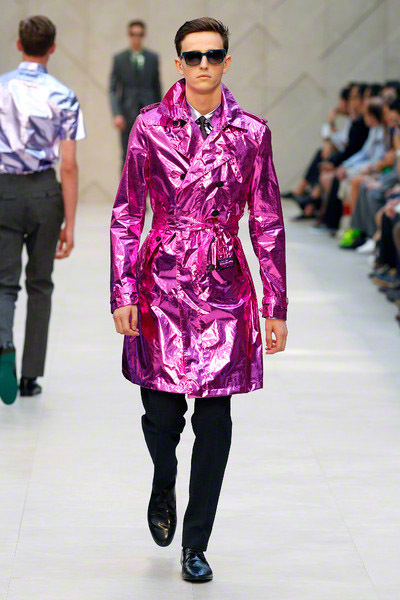 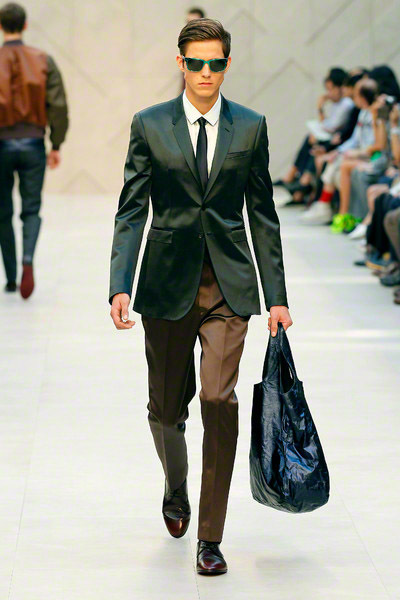 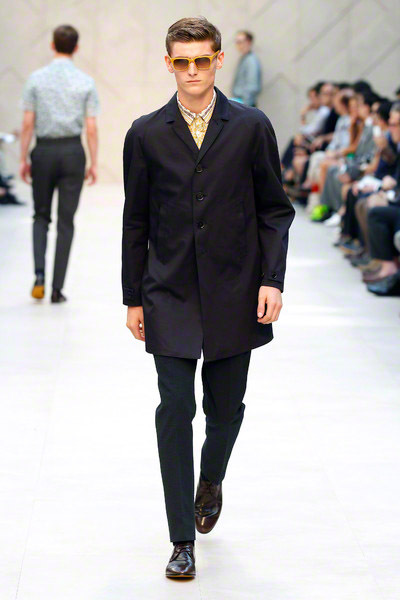 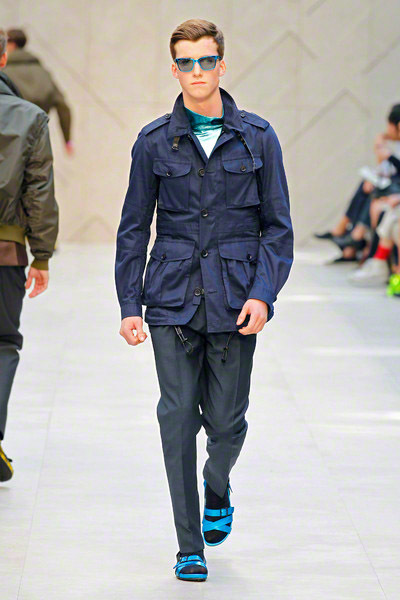 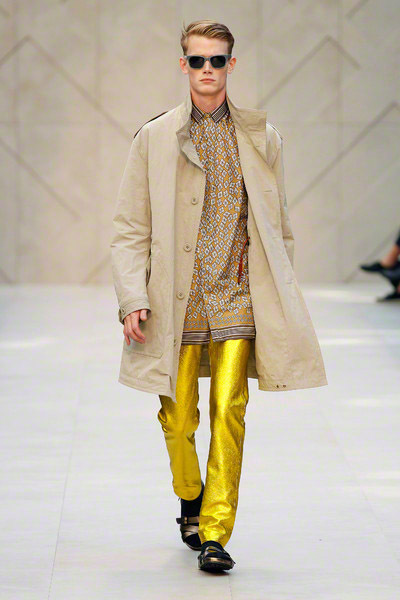 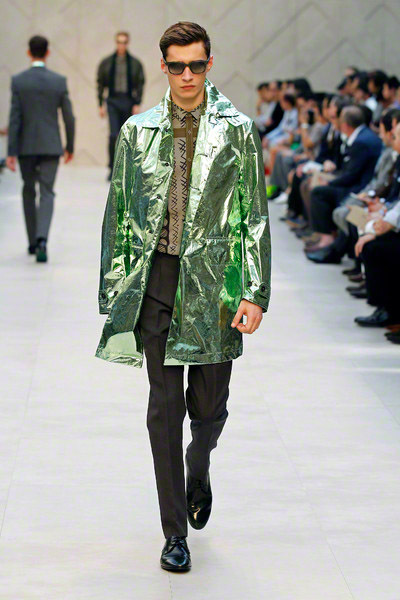 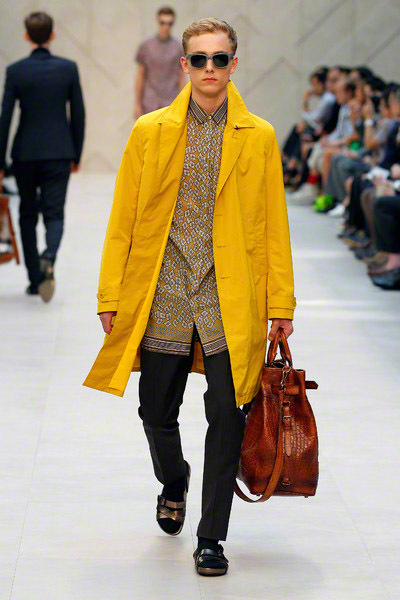 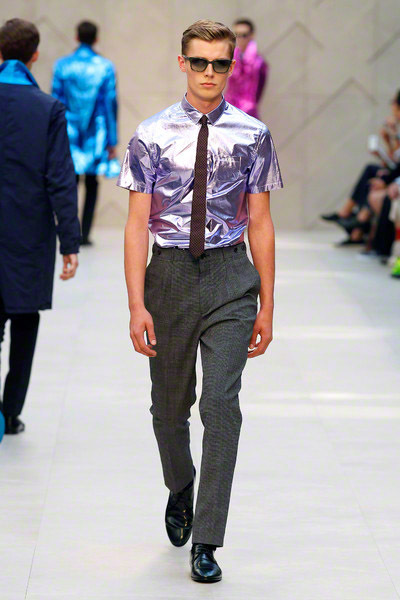 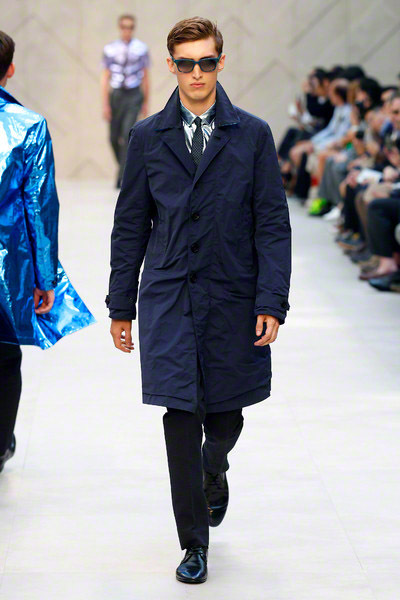 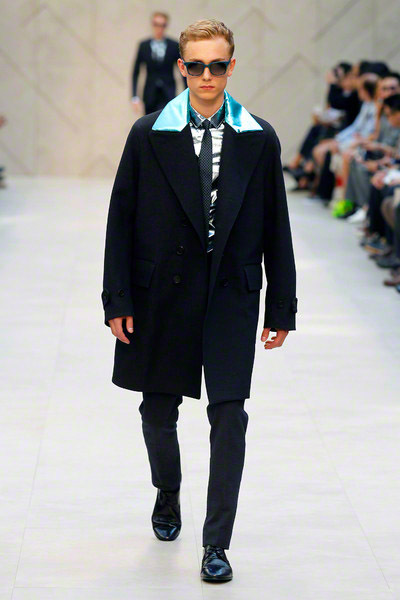 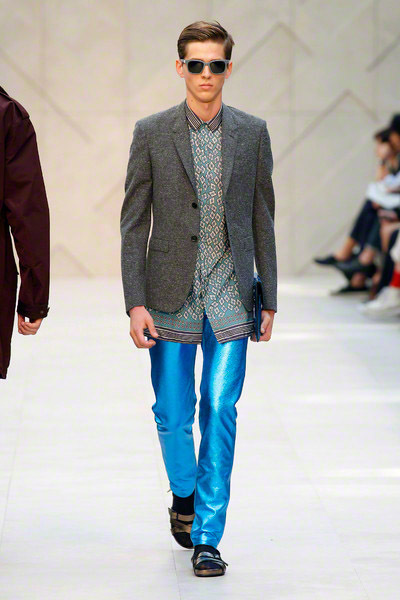 Bailey worked his metallics into shirts, trenches and onto the collars of cabans and car coats. 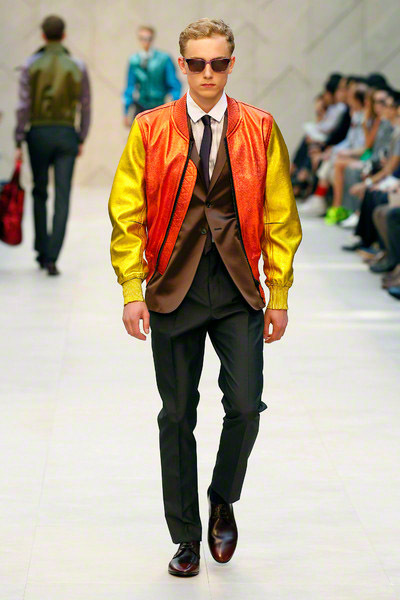 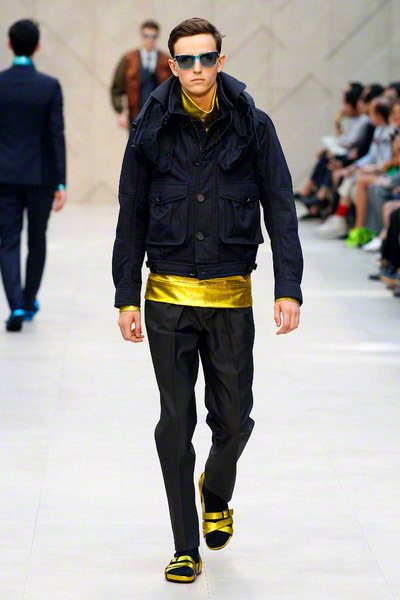 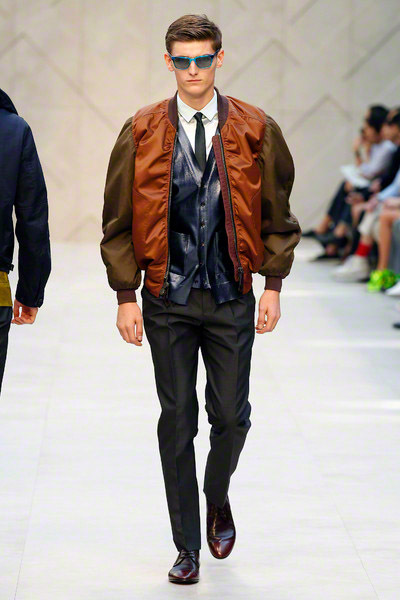 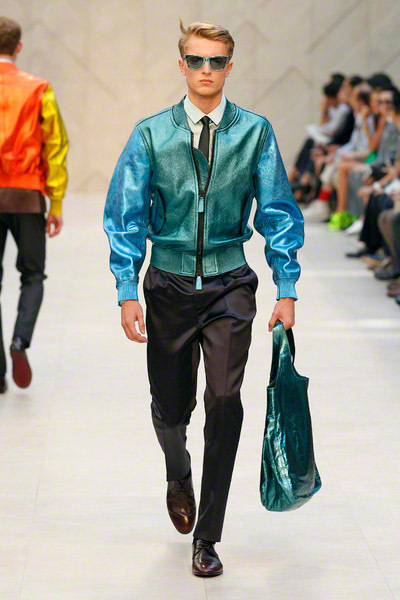 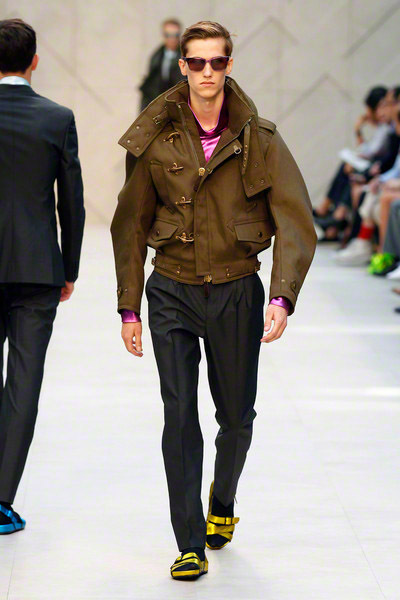 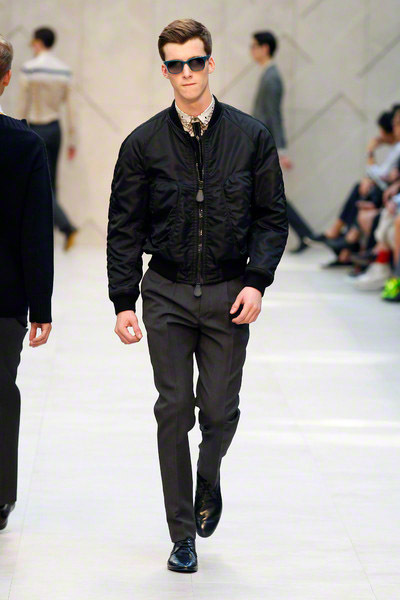 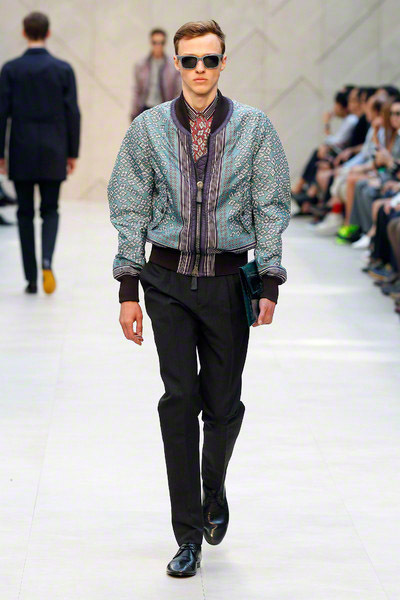 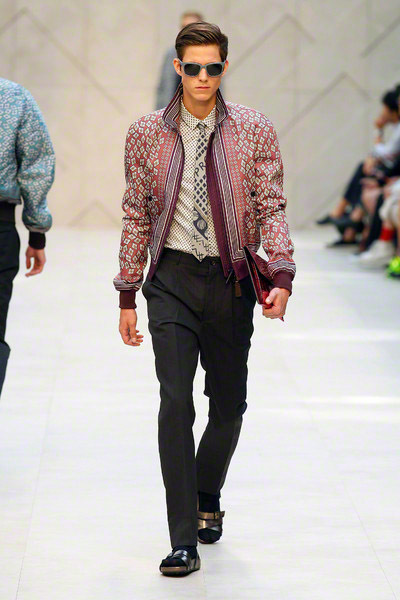 Another important part of the collection were bubble-shaped, multi-toned bomber jackets. 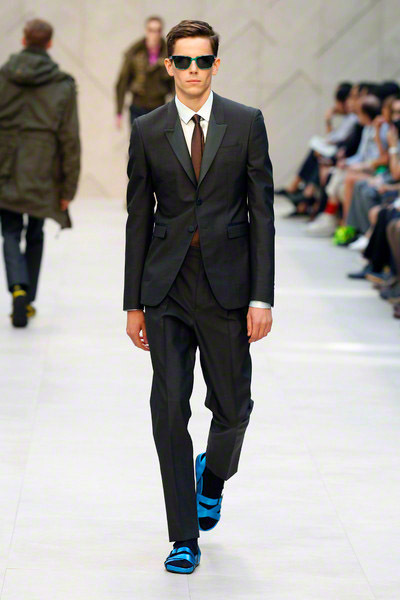 On the models’ feet dark socks and flashy metallic sandals. 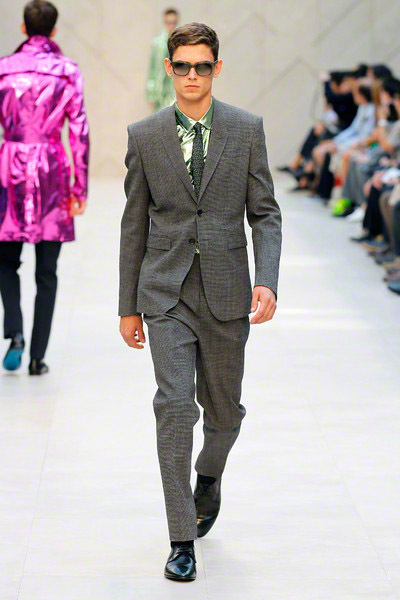 The color palette was inspired by one of Bailey’s favorite artists — David Hockney — while the geometric prints found their origins at the Bloomsbury Group. 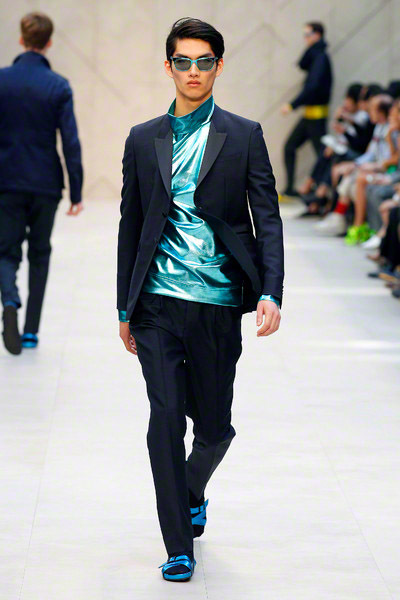 To temper the vivid colored metallics, Baily came up with slim-fitting and sober suits, in deep navy seersucker or cotton. 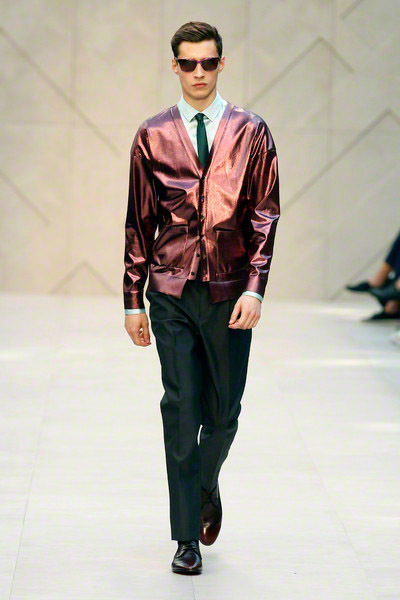 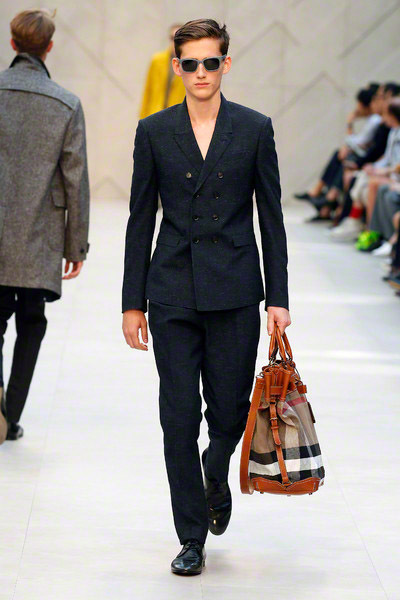 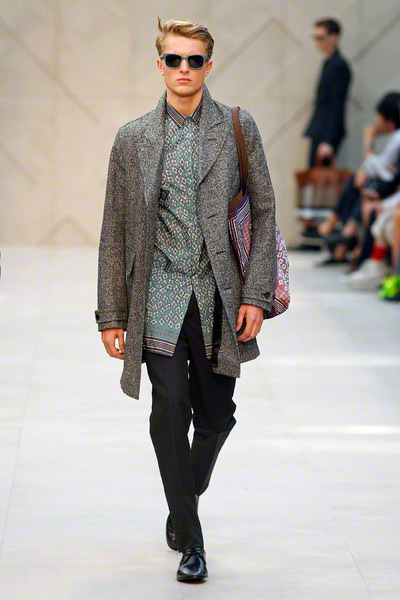 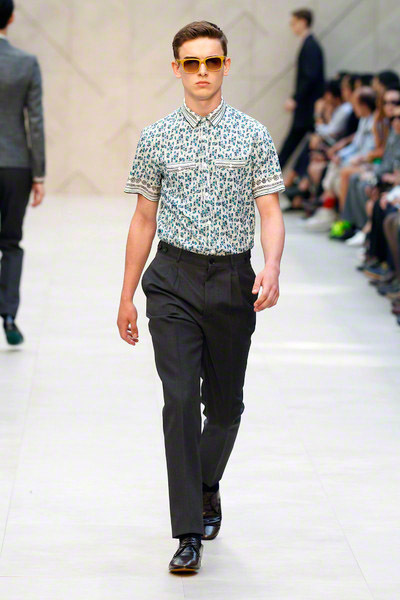 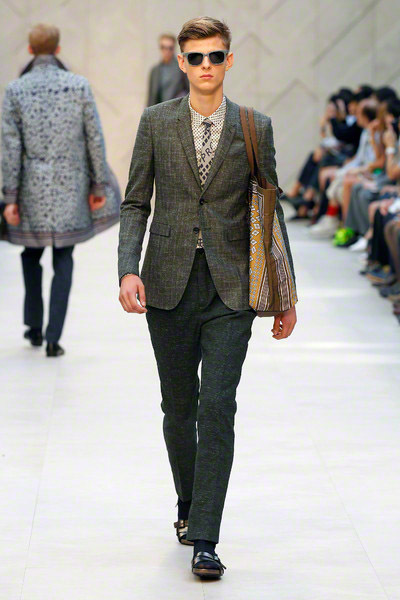 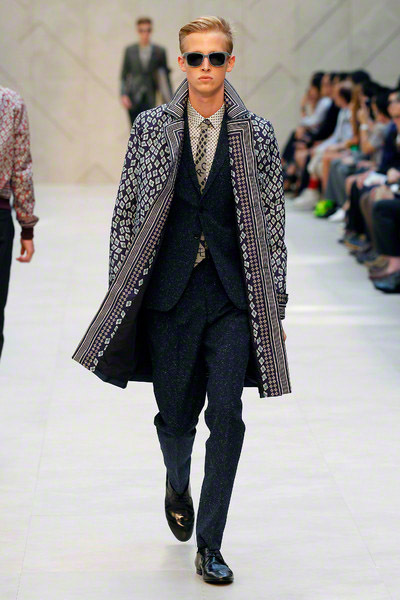 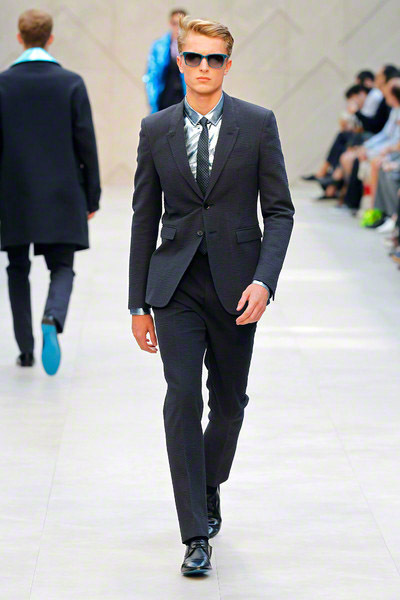 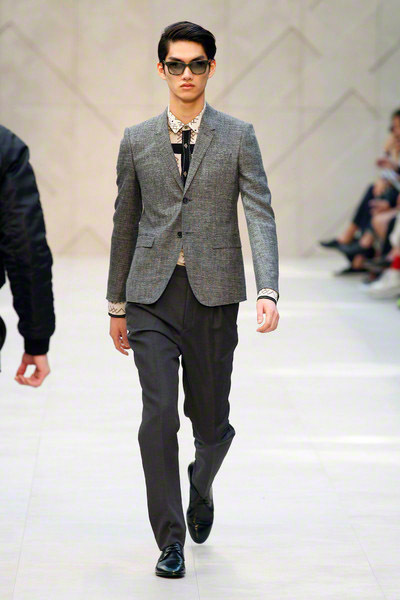 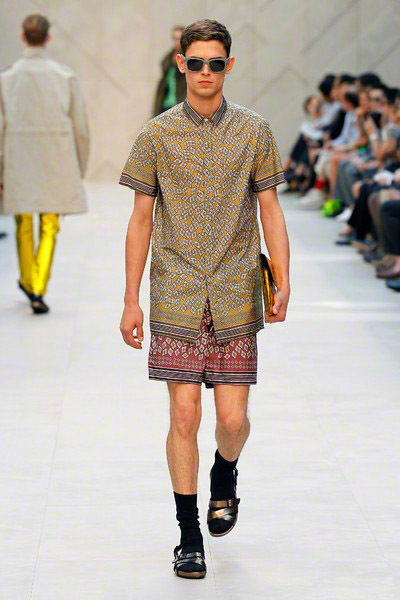 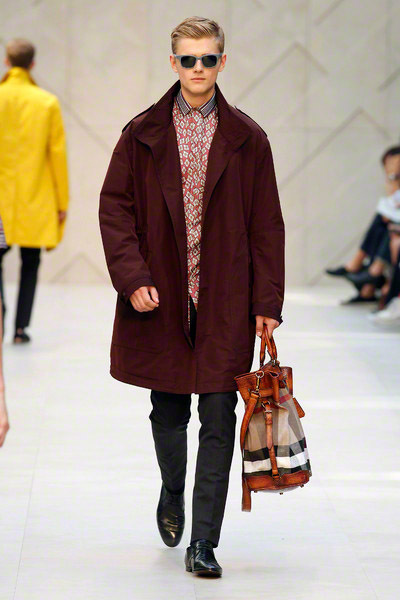 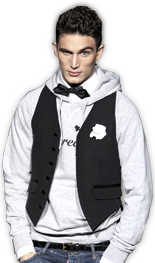 Bailey often layered the shiny with the matte, or put a dark, slim-fitting jacket over a long, loose printed top.